Australian families affected by Duchenne Muscular Dystrophy will benefit from a new web portal launched today to help manage the degenerative muscle disease. A capacity audience filled the MDA Headquarters Conference Centre in North Melbourne. Members of the MD Community, scientists, clinicians, medical and para-medical personnel, MDA staff and were present to see witness this important launch of The DMD Portal. 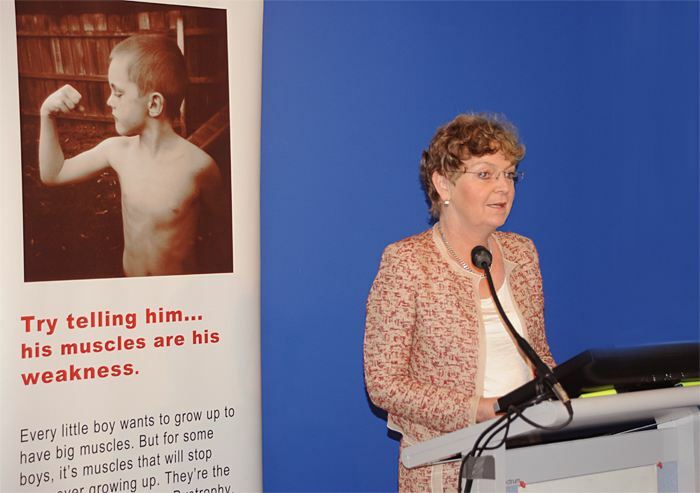 Launching the website at Muscular Dystrophy Australia’s headquarters in Melbourne today, Parliamentary Secretary for Disabilities and Carers Senator Jan McLucas said the Australian Government-funded portal will, for the first time, enable information about Duchenne Muscular Dystrophy to be available from one location. The website is a culmination of evidence based, best practice information on Duchenne Muscular Dystrophy provided by leading experts in neurology, cardiology, respiratory, physiotherapy, genetics and other disciplines. It provides a dedicated network where information exchange may further enhance service delivery and provide best practice support. The Senator recounted the project life of the DMD Portal and acknowledged that the end product was easy to use and held national value as a reference. 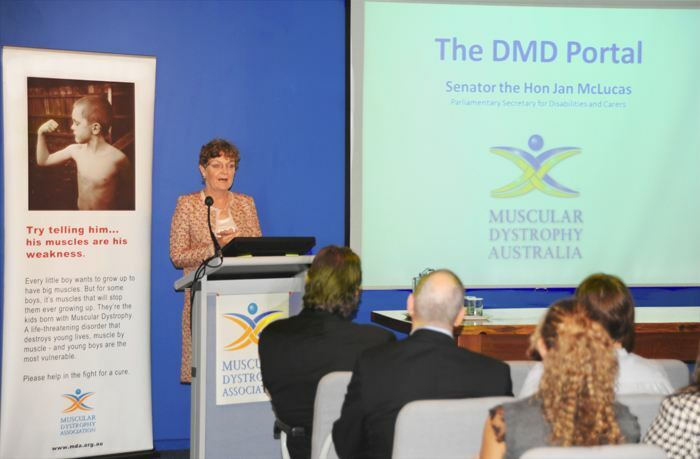 The Senator thanked the MDA for its involvement in both the DMD Portal Project and in serving the wider Australian Community with its extensive range of support services.